Karf Oolhu has given his monkeys wings! 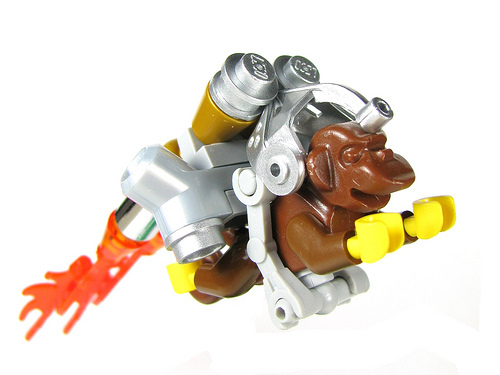 Well, jetpacks, but it amounts to the same thing: Freakin’ Flying Monkeys! Everything is better with monkeys. Everything is better with jetpacks. So this is Awesome². The only possible way to improve it would be if it were steampunk. Is that a knight visor behind his head? Sort of reminds me of Super Grover.